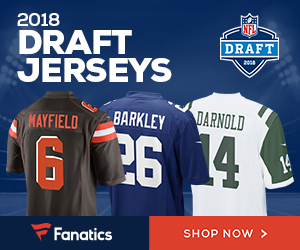 Bengals quarterback Andy Dalton is undergoing thumb surgery and has been placed on injured reserve, ending his 2018 season according to Michael David Smith of Pro Football Talk.com. Dalton was knocked out of Sunday’s home loss to the Cleveland Browns while trying to recover a bad snap that ended up as a Browns turnover. There was initial optimism in the Bengals locker room about the injury but it was clear the news would not be good when the Bengals claimed human turnover machine Tom Savage on waivers early Monday afternoon. Athletic but erratic Jeff Driskel, a 2016 sixth-round pick out of Louisiana Tech, will finish the season as the starting quarterback for the Bengals. So another promising season for Dalton and the Bengals goes down the drain. The team started out 2-0 and had visions of returning to the playoffs but those hopes are pretty much nonexistent now. 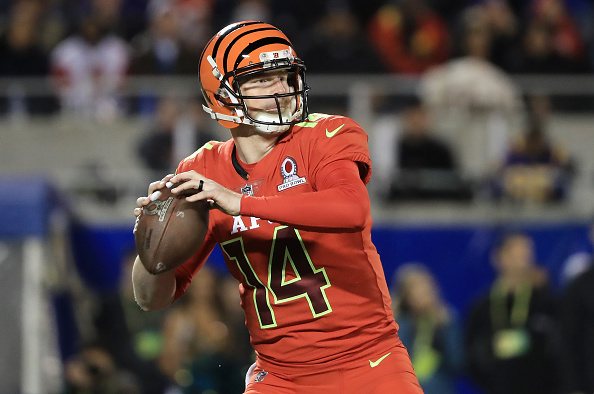 Dalton, who turned 31 last month, finished the 2018 campaign with a 21:11 TD-to-INT ratio and averaged 7.0 yards per attempt, once again reasserting himself as a mid-range to below-average NFL starter. The Bengals can save $16.2 million in salary cap space by releasing Dalton in the offseason with zero dead money. Be the first to comment on "Season Over for Cincinnati Bengals QB Andy Dalton Following Thumb Surgery"